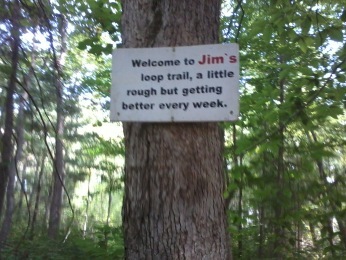 Jim's trail is the third trail developed of the hiking trails of the Rockland town forest. It winds through the area that older maps of the area call the Salem st conservation area. 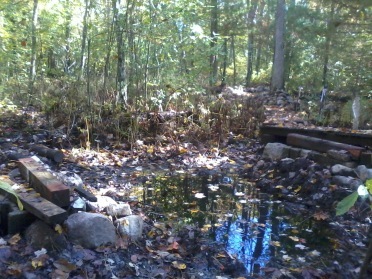 Like other areas of the town forest this portion has wet areas and several bridges and well placed stones ease you over these wetlands. 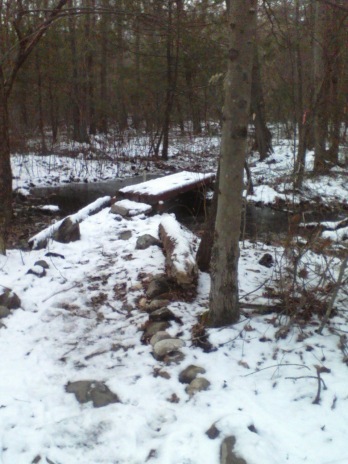 It meanders into the forest and seems to not be far from the main trail. it then turns sharply to the right heading deeper into the forest. 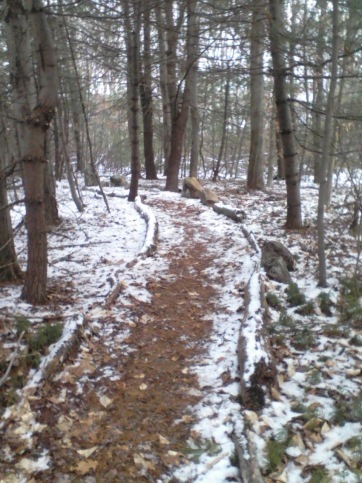 Like most of the trails here it is lined by fallen tree branches. 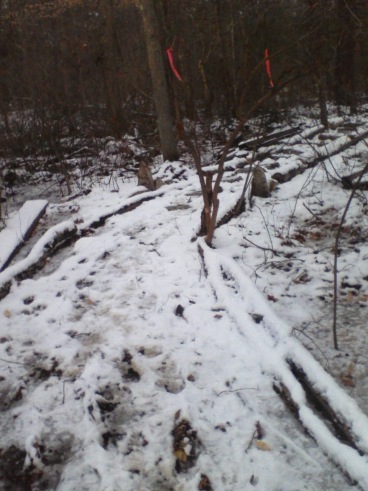 The trail almost immediately leads into wet land. 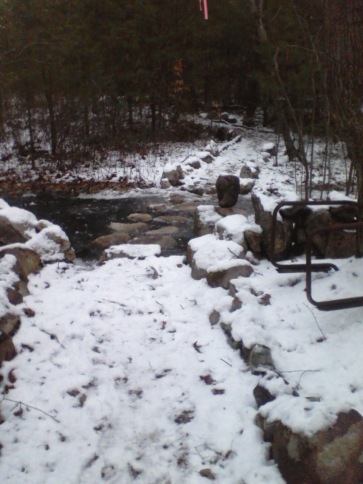 A series of large stepping stones help you thru that area which then lead to a succession of three bridges. 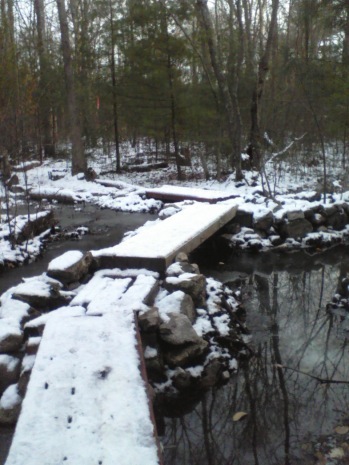 The wood planks to the left of this bridge were the earliest way through this wet area. This line of bridges went through quite a building process to become what it is today. Little islands were made to connect the three bridges. 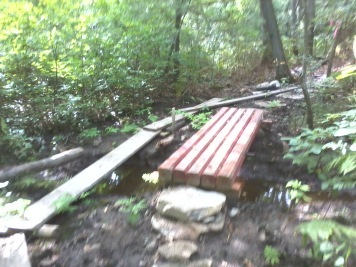 This is another one of the areas that has been reworked to manage water and the trail. 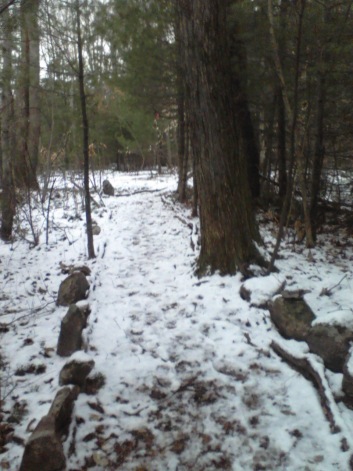 More rock stepping stones and then the trail winds through an area with a stand of evergreens. hiking through the area a sense of peace. Artifacts placed creatively along the trail. 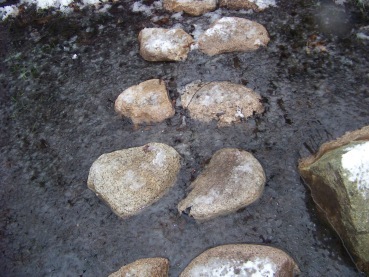 This crossing is intriguing, the water is fairly deep and the rocks are icy this time of year. 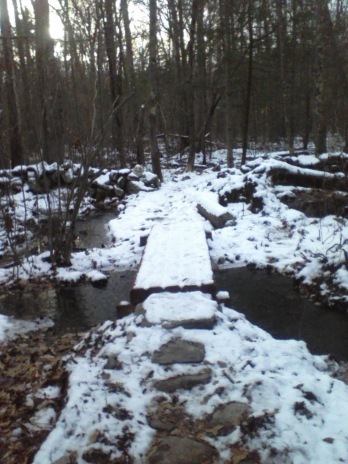 There will be yet more stepping stones and bridges to cross. 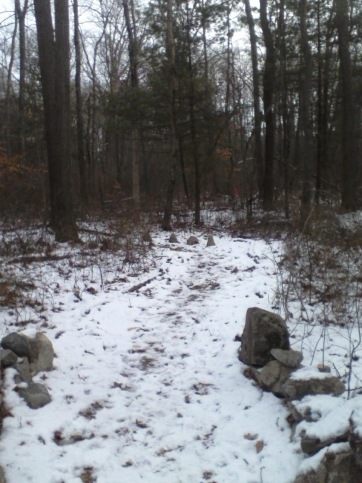 New England that marked the property lines at one time. 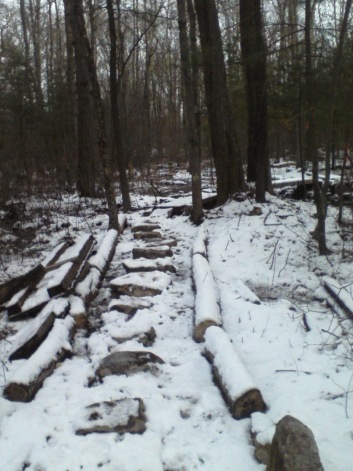 The trail finally ends at the other parking lot on the Spruce st. side of the forest. 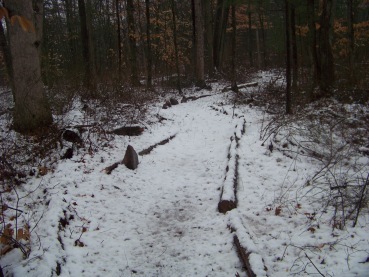 In total the trail is between 1/4 and 1/3 miles long. 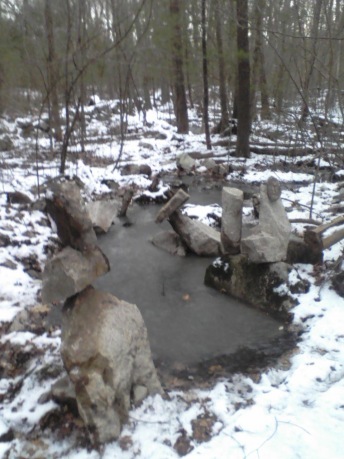 An interesting addition to a hike through the forest. 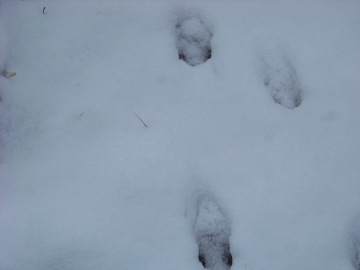 Evidence of the town forest "residents" on Jim's trail.